More and more luxury car makers are moving towards compact models to see an increase in sales volume. Mercedes Benz and Audi had earlier launched the low cost hatchback models. The other major German automobile manufacturer is not far behind. BMW has now launched one of the most affordable premium cars in the Indian market with its new 1 series launch. 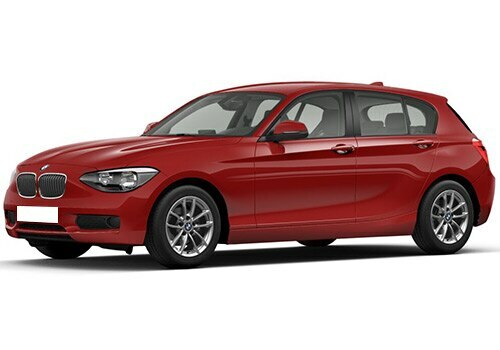 BMW 1 series is a five door hatchback that has an amazing presence on the road. The BMW cars belonging to this series were first introduced worldwide in 2004 and this particular five door hatchback car model also named F20 was launched in 2011 in the Frankfurt motor show. The company brought in cricketing superstar Sachin Tendulkar and race driver Armaan Ebrahim for the launch ceremony. It is strongly believed that the new launch will turn around the recent lull and bring in good volume of sales for the company. The petrol version has been priced at Rs 20.9lakh. BMW 1 series price for the diesel trims are a bit higher varying from Rs 22.9lakh to Rs 29.90lakh. The luxury hatchbacks are to be assembled through CKD kits BMW in the Chennai plant. The car is available in two engine options-petrol and diesel. The petrol engine 116i that powers this luxury four-wheeler is a 1.6liter turbocharged engine that can output a max power of 136bhp and a top torque of 220Nm. This is the basic version available and is introduced in a single trim. It misses out on few luxurious features like dual zone climate control, electric seat adjust with memory, but there are a lot more features which makes this model a top contender. Fog lights, rear parking sensors, automatic headlights, six airbags, 16-inch alloy wheels and further sophisticated technology add to the allure of the vehicle. BMW 1 series features also include start/stop engine button, brake regeneration systems, iDrive technology and run flat tyres. The diesel variant is powered by a 2.0liter turbocharged engine 118d that can churn power up to 143bhp and a torque of 320Nm. The engine can achieve a max speed of 212kmph. Three trims are available in diesel models with the top variant featuring rear air-con vents, sunroof and 17-inch alloy wheels. The mileage of this luxury car is remarkable with petrol version returning 16.28kmpl and diesel models returning 20.58kmpl. Both engines are coupled to an eight speed automatic transmission box that transfers the generated power to the front wheels. BMW 1 series pictures reveal an elegant yet sporty hatchback with luxurious interiors and eye-catching exteriors and BMW group is planning to launch the BMW 1 Series hatchback car in India 2013.